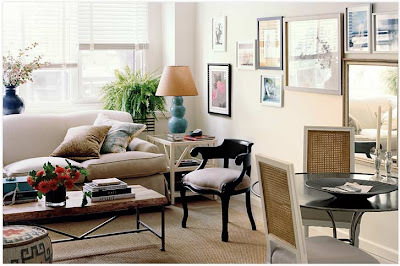 When I saw this room by Carlton Varney (in HB), it was the fern that got me. How beautiful is it against all that white?!! 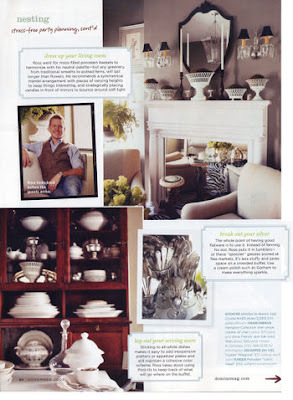 LOVE LOVE LOVE the table setting below from one of my favorite houses, Rice Cottage. 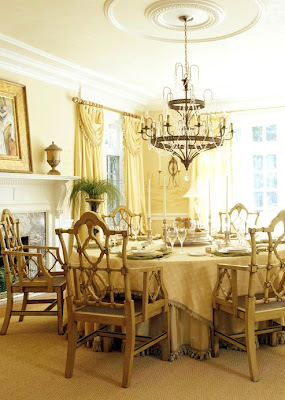 And finally, this fern in a room done by Carrier and Company is one of my favorites. 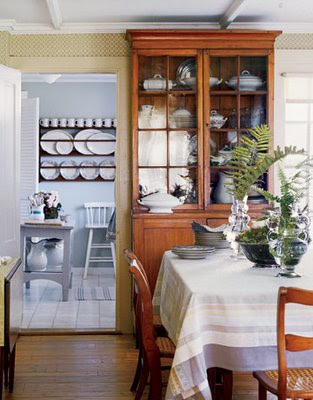 I LOVE what it does in this room (again, a white background) and it looks so perfect next to the turquoise gourd lamp. So much life!!! love it!!! i am a fan of a fern. i have 2 gigantic ones on my front porch. they thrive in this humid south. Oh! We are on the same wavelength today - I just did a post on using native ferns in flower arranging. 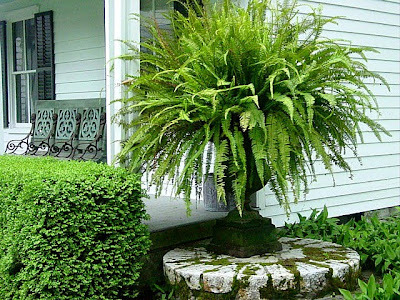 And I just nearly bought a home with would have been a wonderful double gallery porch for fern hanging posts... a shame the seller is a straight up bag of dirt...!! Bummer. Yes, I have always had a fern! They just make a room pop! And yes, I have killed a few, but they really are hearty! My kitty would even jump a few feet just to play with the ferns! He didn't kill them, but they did shed a lot! I'm looking at the one hanging in my screen porch now. Lovely! Have a great trip! So glad to see a fern post. I love them. 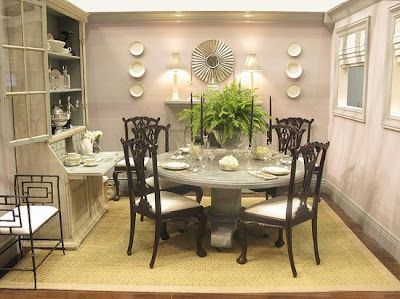 We do a lot of white and grays and neutrals, so a fern just puts life into a room. Great post! I adore ferns! They are my favorite plant, indoor and out. I agree w/you on the way they just bring a room to life. And I think they go so well with a black and white interior. I just love em. I love ferns too but they don't love me back. They just keep croaking. So sad. 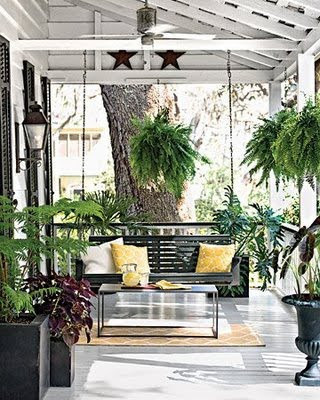 Love that porch with the swing and the Carrier and Co living room. And you're right, neither would be the same without their ferns. I also like a fern in the fireplace during summer but haven't tried it myself 'cause I don't want to buy a fern only to send it to an early grave! I've killed two maidenhair ferns in the last six months. 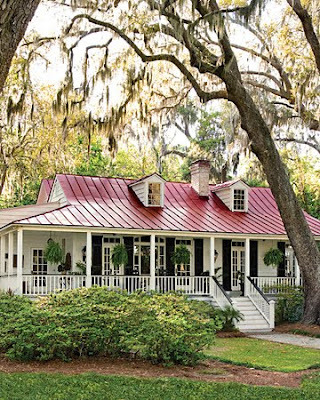 Need to find a heartier variety, as a house in the South is not a home without a fern, haha! Have so much fun in OBX, I'm very jealous of you right now- that is my favorite vacation spot! Hey, Lauren, thanks for stopping by. I caught up with you earlier this week & bad me, didn't leave a comment. I wish I had more time to visit everyone. Love, love your fern pics! I wish they would live better inside & I'd have a few. I've made a vow to get rid of most of my fake plants around my house & go with all live. I'm gonna try some real palm trees and see how they do. I have quite a few real ones now, so what's a few more big ones. Have fun at the beach! We're going next month too. All great pictures! Ferns are the best. 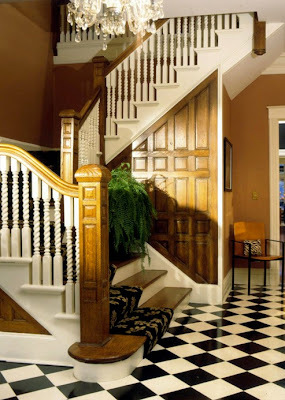 Simple yet they really dress up any area of your home! But my most favorite part of your post was how you admitted that you picked your beach vacation house because of the way it was decorated!! I LOVE IT!! I'm the same way! You want to be surrounded by your idea of comfort and beauty, I get that! PS...i do mean live plants!!! 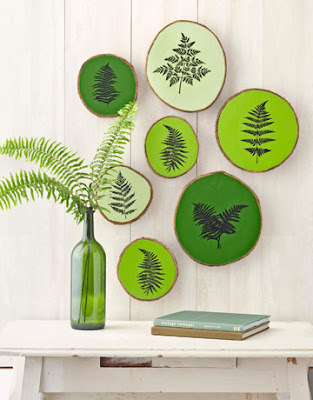 Love the fern plates...really great pictures!!! I love ferns too, there is something so fragile and ethereal about them! You've been tagged, I want to know what your colour personality is! So get writing! I never thought I would love ferns but we have two in our yard and I just love to snip a few sprigs and put them in a glass bottle. 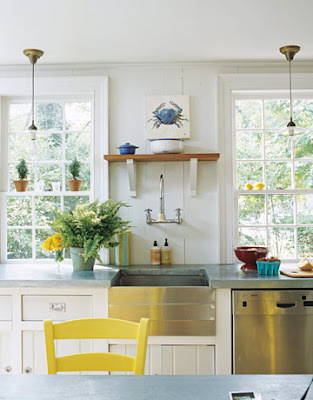 It adds just the right amount of color and natural element. Have a great vacay and post pics soon. gee l think you've got great taste! such great pics! Gorgeous photos. I love ferns too - there is something very soothing about their colour and shape that I also find I have always liked. We have several ferns in our garden and I love cutting them (all summer) and bringing them inside, but I have never had a whole plant in the house. A lovely addition to your look! 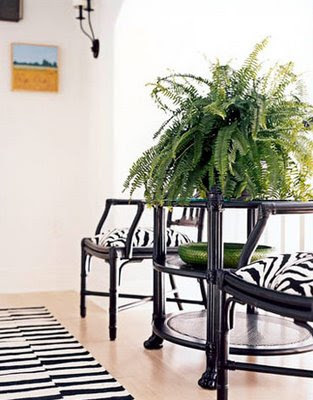 Ferns are great because they are low maintenance and add life and color to any room. Great post! I love ferns. I love their wispy structure and how the sway in the wind. And the colour .... beautiful! Lovely post! Enjoy your holiday. 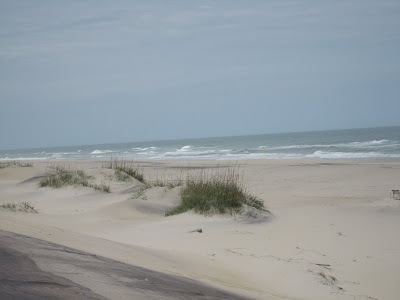 We were in the Outerbanks a few years ago and had an amazing time. Can't wait to see your pics! I adore my Boston fern. I have to replace it every 8 or 10 years but love it in my dining room in a really cool wicker stand. I feel that a house without a house plant...is just that a HOUSE and not a home. 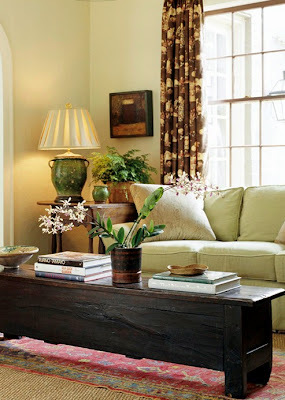 I have plants in almost every room and it makes a big difference in the feel of the room.